The generous dimensions of this fine seat make it very comfortable, and the set back arm-rest supports leave the seat free, giving a greater imssion of ease. This arrangement was adopted following the fashion for dresses with very wide hoops. The symmetrical Regence carving is discreet (shell and acanthus leaves) but in good taste. 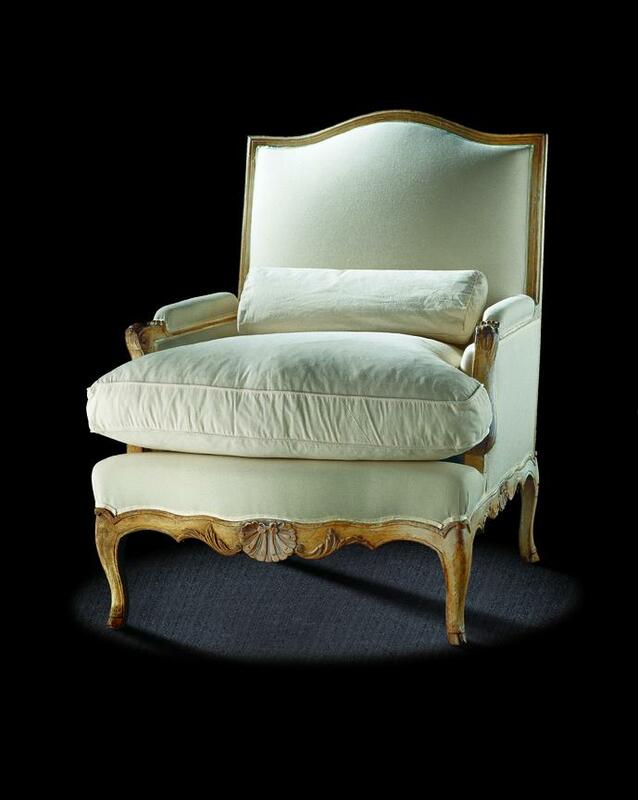 This seat, which is low and wide, is supported by short, arched legs finishing in claw feet which make it original.